Tideway (London) is filling 1 in 50 jobs with apprentices. Fiona Keenaghan and Callum Davis are both members of the Thames Tideway Tunnel apprenticeship program. Photo courtesy of Tideway. “London relies on a 150-year-old sewer system built for a population less than half its current size,” said Hannah Shroot, media relations lead for Tideway. 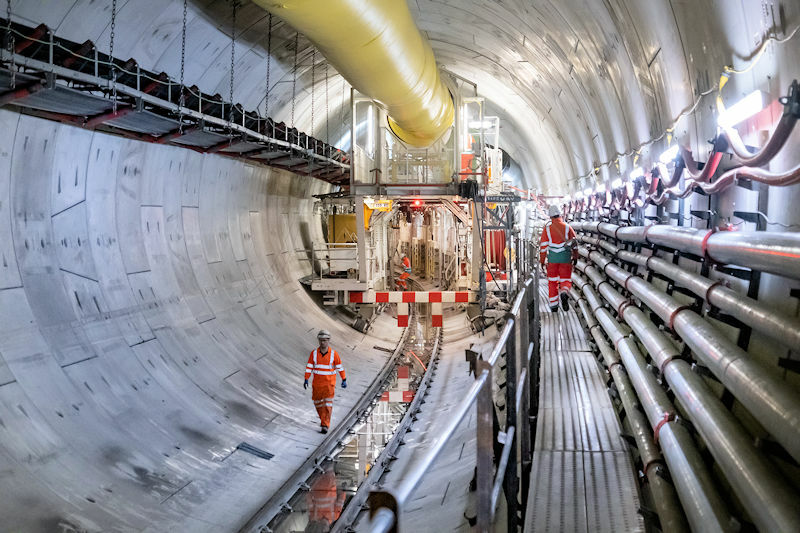 The company is constructing a new 16 m (25 km) “super sewer” that will intercept, store, and transfer the tens of millions of cubic meters untreated wastewater that currently spills into the River Thames each year, according to the Tideway website. More than 4000 jobs are being created to build the Thames Tideway Tunnel. Construction on the tunnel began in 2016 and is scheduled for completion in 2023. Creating the jobs is one thing. Filling them is another. 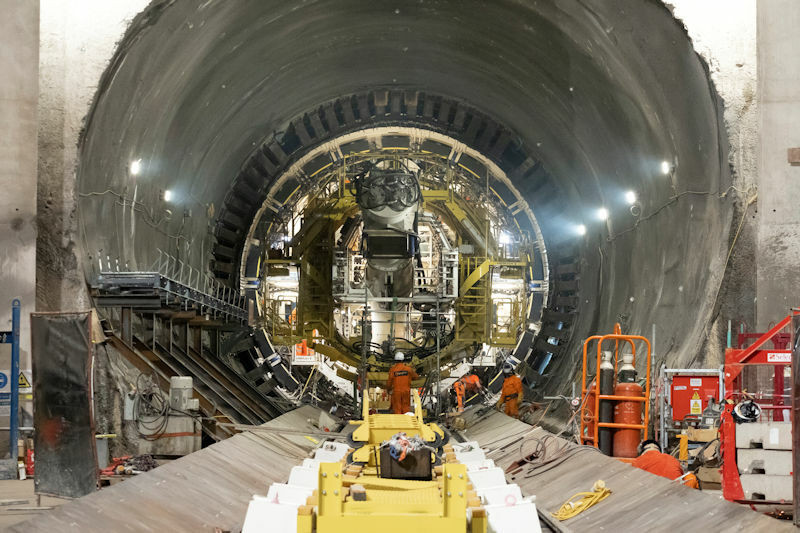 Faced with an aging workforce and the need to attract and train a new generation of workers, Tideway recognized that the $5.5 billion tunnel was more than a construction project. It was a hotbed of training opportunities. This led the company to develop an apprenticeship program aimed at attracting young people to the profession. Perks of the program include the chance to be part of the largest and one of the most complex projects in history of the United Kingdom (U.K.). Apprentices are supporting the design and construction of the $5.5 billion Thames Tideway Tunnel, the largest and one of the most complex construction projects in the history of the United Kingdom. Photo courtesy of Tideway. Tideway and its contractors committed to offering one apprenticeship position for every 50 jobs, Shroot said. This has created more than 100 apprenticeship opportunities in civil engineering, construction, business administration, and digital engineering. Apprenticeships even have been offered for boatmasters – the individuals who serve as captains of the boats needed on the river for the project. In addition to developing the skills and experiences needed for their respective jobs, apprentices spend time on other teams for exposure to different experiences, Shroot said. 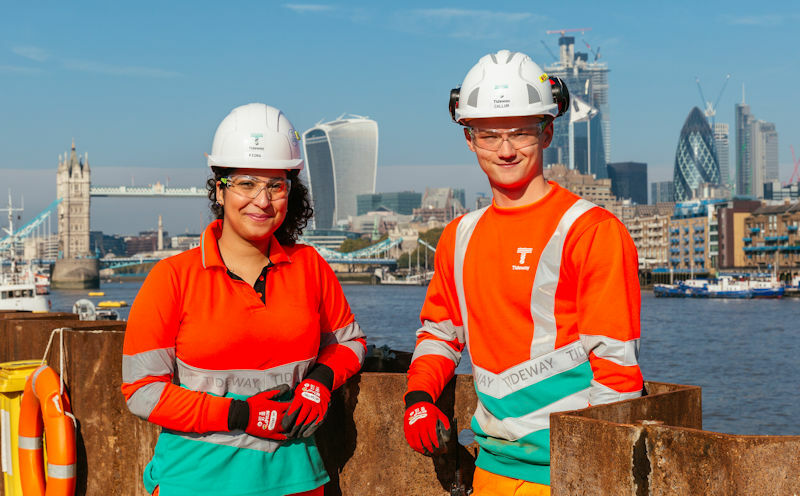 To reach a diverse audience of candidates, Tideway partners with such organizations as the Construction Youth Trust (CYT; London), which promotes construction careers. “CYT works with schools with a high proportion of disadvantaged students to raise aspirations of young people, widen career horizons, build confidence, and help them prepare for a successful transition into working life,” Shroot said. Two CYT students have been awarded Tideway apprenticeships so far. Employees at the Kirtling Street site work on the Thames Tideway Tunnel. The new “super sewer” will intercept, store, and transfer wastewater that overflows into the River Thames. Photo courtesy of Tideway. To help keep the apprentices on track, Tideway supervisors and trainers provide ongoing mentoring and support. Quarterly, apprentice-led forums provide opportunities for participants to connect and share their experiences. “By fostering an inclusive workplace culture and committing to gender parity, Tideway hopes to continue developing a diversified workforce while cleaning up the environment,” Shroot said. The apprenticeship program also offers other benefits. In addition to free training, apprentices are paid the London Living Wage, a competitive starting wage that provides higher compensation than what other apprentices might earn. The biggest perk of all is receiving a job. “Working on Tideway is a good way to enter the workforce,” Shroot said.